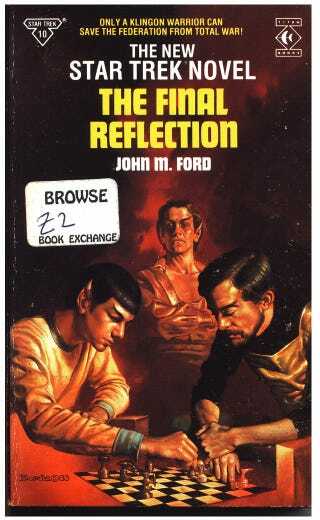 This early 1980s cover of Star Trek: The Final Reflection, by legendary artist Boris Vallejo, makes us wonder if there was some kind of time travel situation happening when the image of Spock was conceived. The resemblance to Zachary Quinto's Spock is uncanny! Thanks for pointing out this "strange coincidence," Joshua Glenn!